The Czechs drink more wine than their small country can produce, so the only way you can sample the delightfully acidic and semi-dry white wines of Moravia is to visit this lovely and dynamic region for yourself. 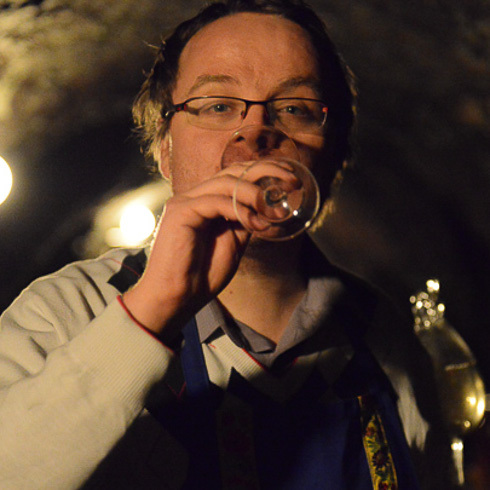 So if you’ve never tasted Czech wine before, you probably don’t know much about it. We talked to a friend of DuVine and Czech wine expert Petr Ocenasek about his passion for wine, the wine traditions of Czech Republic, and why Czech wine is so special that it’s worth a visit to the Czech Republic on a bike vacation! How did you find yourself working in the wine industry? I come from a winemaking family, and we’ve been living in the Mikulov area for several generations. I was brought up as a small boy in the vineyards and in the cellars, and I used to work with my cousins and grandfather every summer. My original education is in teaching, and when I was in secondary school, an opportunity arose to study in the U.S. and get away from working in the vineyards, so I took it! After spending some time in the U.S., however, I found out that teaching doesn’t make much money, so I came back. When I returned, I became a wine merchant and have worked for several wineries. I’ve been in the industry for 13 years, and 6 years ago I started my own business as an independent wine merchant. I spend most of my time selling and importing wine, doing tastings and seminars, and writing. I’m writing a book with an Australian friend of mine here in the Czech Republic in English. Do you remember the very first time you tasted wine? I don’t even remember. My first memory with wine is when I was five years old, but I was probably given tastes at three years old. Growing up in a winemaking family with all of your free time spent with grandparents and parents in the winery, you taste wine quite young. At the age of five I remember taking a sip, and I didn’t really like it. The first time I remember tasting it and liking it was at the age of 12 or 13. In the 1980s when I was growing up, all of the cousins were sent to our grandparents’ for summer holiday, so we spent most of our time with grandparents. They took us to the cellar, and in the summer you’re able to work in the vineyard from six o’clock until about nine o’clock or ten because it gets very hot after ten, and you can’t stay in the vineyards. My grandfather always brought us shpritz (still water with a very light acidic white wine), and we drank that while we worked in the vineyards. I didn’t become a lover of wine until I was 22 or 23, and I was probably 27 or 28 when I started to treat drinking wine like an adult rather than a weekend activity. When we drink wine, we don’t get drunk, we taste. That’s the difference with wine culture. It sounds like you learned a lot about wine from your grandfather, but what is your formal wine education? I became certified through Wine and Spirit Education Trust (WSET). They are headquartered in the UK, and they offer the best wine education you can get within the international wine industry. I finished the program three years ago, but I am still learning. I don’t consider myself an expert. You need to be humble. Wine is a personal experience, an intimate experience. If you do like it or you don’t, there’s nothing wrong with you. Wine is an endless subject, and you need to study every minute of your profession in the wine industry. What is Wine and Spirit Education Trust? A: WSET started in the 1950s in the UK. The original idea was to get merchants inside the wine industry, and for the winemakers to be aware of the international wine market. One of the most important tasks during the test is to determine a price for the wine and describe the wine in a manner of market, price, where it is from, etc. It’s basically about selling the wine. You need to be quite aware of the international palate. What is required to be certified through WSET? A: To become WSET certified, you must take a written test and pass a final wine tasting. As part of the program, you learn to do blind tastings, and you must know where the wine comes from—not only what country, but which wine region. And if you specialize in a certain area, you might even go into tiny details about the wine commune or vineyard. I consider myself a wine expert from Central Europe, primarily focusing on Moravia and Czech Republic, but also Austria, Germany, Burgundy, Champagne, and maybe Alsace. Why is it important to you to share your passion and love for wine with others? To me, that’s what wine is about; it’s about the table and drinking with your buddies. If there’s a bottle of one wine and you get ten people at the table, there will be different sensations and ideas about the wine. Maybe ten, maybe three. Never one. Drinking wine on your own is a big mistake. You will only fully understand the wine when you share it with someone else. I have a big wine fridge, but I don’t remember opening a bottle and finishing it. I’m not able to finish one by myself. Here in South Moravia, we have sort of a rule that when drinking wine with friends, you never pour for yourself. Somebody else has to do it. 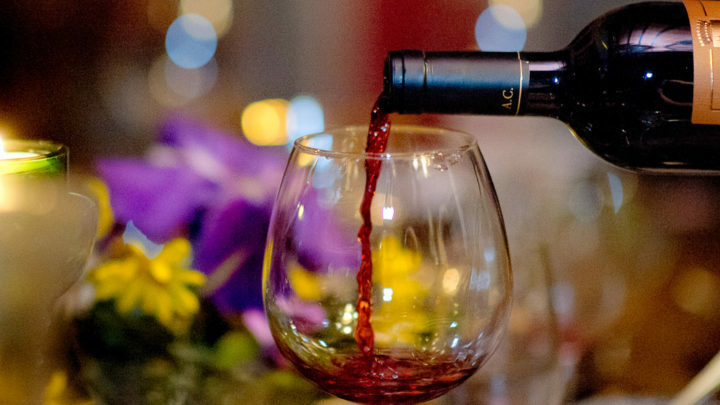 If you pour your own wine, it’s not your fault but their fault. Wine needs to be shared with someone else. With wine you can enrich someone else or be enriched by someone else by talking about what’s good about the wine. Only then can you see the beauty of the wine. Wine is a noble drink. The oldest. It has a lot to say. It has a great history. I have a new experience with every glass. What can our guests learn about Czech wine when they come on their DuVine bike tour? The first thing they need to learn is that Czech is divided into areas: Bohemia—the area around Prague—and Moravia. Moravia is divided into four regions, and Mikulov is the main area of Moravia. Most Czech wine is made in Moravia. There are 20,000 hectares of vines total, and 19,500 of them are in Moravia. 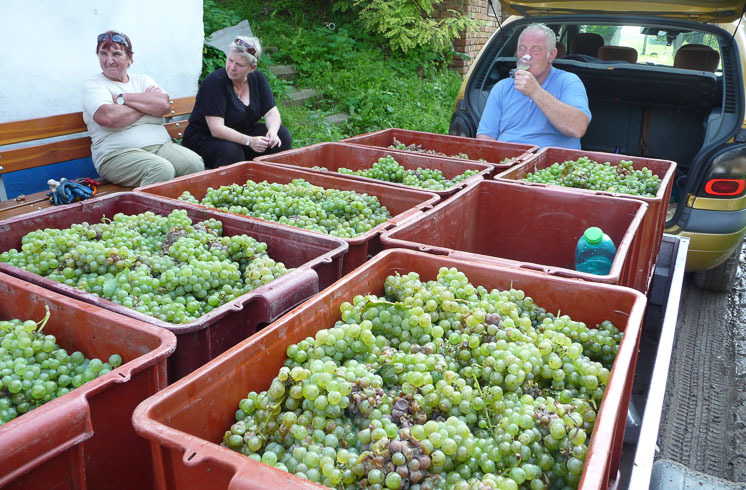 The majority of the grapes in Moravia are white. 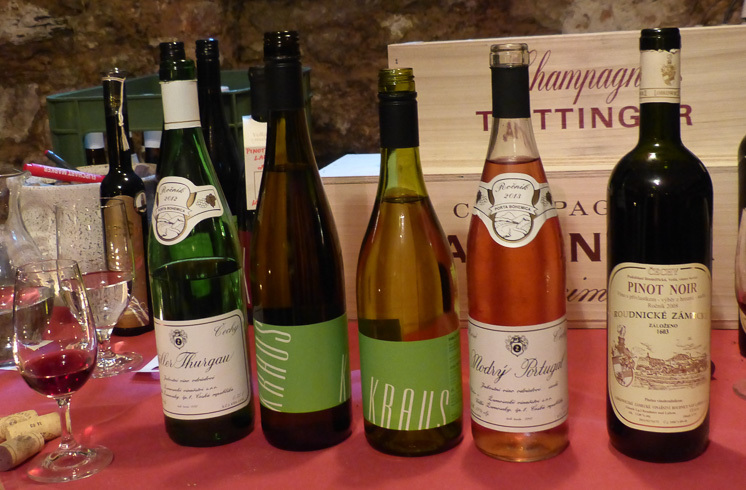 Within Mikulov, 70% of the wines are white wines, 25% reds, and growing number of rosés. But the principal variety is Welschriesling. We have a continental climate, and with such a small wine-growing area, we produce a very small amount of wine. 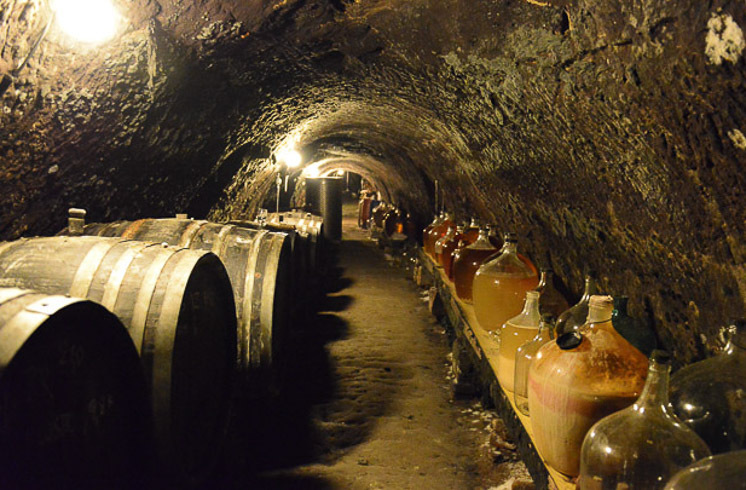 Czech wine is almost unknown in the winemaking industry. Czech wine can quite easily be compared to Austrian wines. Right now I’m sitting two kilometers from the border of Austria. We share very similar growing conditions and a similar history. The Slovaks, Hungarians, and Austrians were all under one empire—the Austrian empire—so we have a similar history with Austria. In the case of wine, that means dry and semi-dry white wines with a good acidity. People don’t buy the red wines as much as they did before, so they use the red grapes for rosé making now. There are a growing number of rosé wines in Czech Republic. 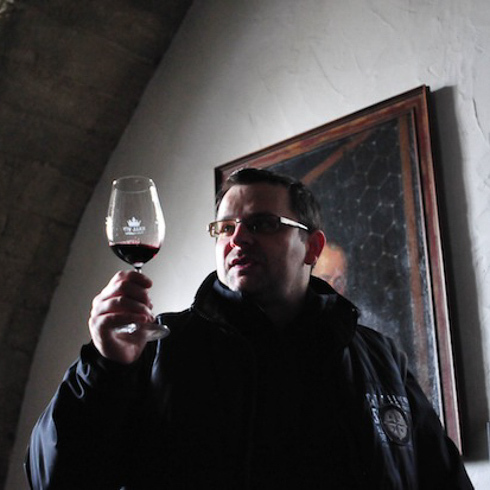 What is special about Czech wine? Nobody knows about Moravian wine. There’s quite a competition between Moravia and Bohemia. It’s known inside Czech Republic that Moravia is VERY traditional. By U.S. perspective, you could call us red-necks. We have traditions here. People here still wear traditional costume. There is lots of history and tradition here that is preserved. 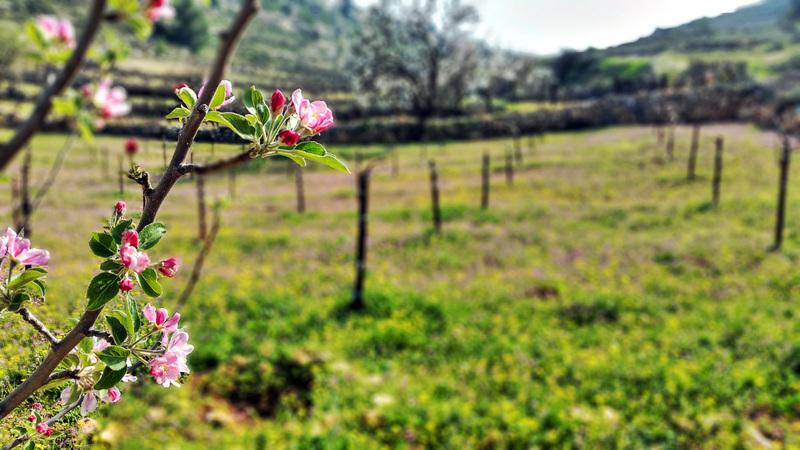 We make our living by winemaking and farming. Most of the vineyards here are small and home-grown. Most wines are from small or mid-sized family growers, and there are lots of boutique wineries. If you say “small” in Czech Republic, it’s quite different than if you say “small” in France. France grows over 800,000 acres—it’s a big difference. But there is lots of diversity here. On one hectare of the vineyard, there may be 20 different growers. That means 20 different styles and 20 different ideas of how to produce the wines. There’s lots of adventure, and some of the wines can reach very high quality. 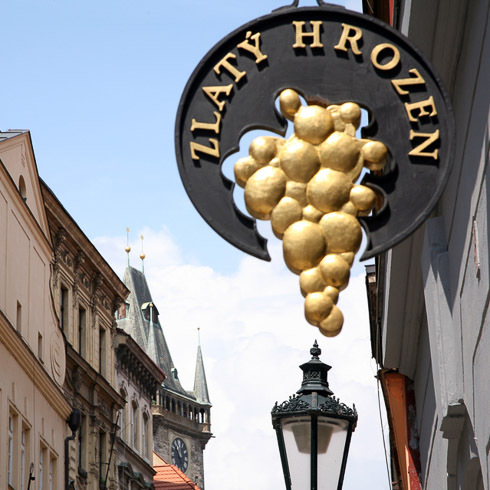 Can American visitors find Czech wine at home in the U.S.? It’s quite difficult to export Czech wine around the world because we are so unknown. One reason is because people will buy what they know. But the main reason is that wine consumption per capita in the Czech Republic is almost 23 liters per year. With only 20,000 hectares of vines, we are not able to cover more than 40-45% of annual wine consumption in the Czech Republic. Because winemakers can sell so easily here, they don’t even seek an opportunity to export. However, there are very posh wineries that can sell their wine like the snap of the picture, and they can export. They sell for PR and prestige. So they can say “look, I’m selling this wine to a New York restaurant with two Michelin stars!” So your travelers may be able to find some Czech wines on the menu at fine restaurants, but not likely on the shelf at a wine shop. Join DuVine on our Czech Republic + Austria Bike Tour to meet Petr! Take a walk through the ancient town of Mikulov as your DuVine guides speak about the history and the vineyards around you. 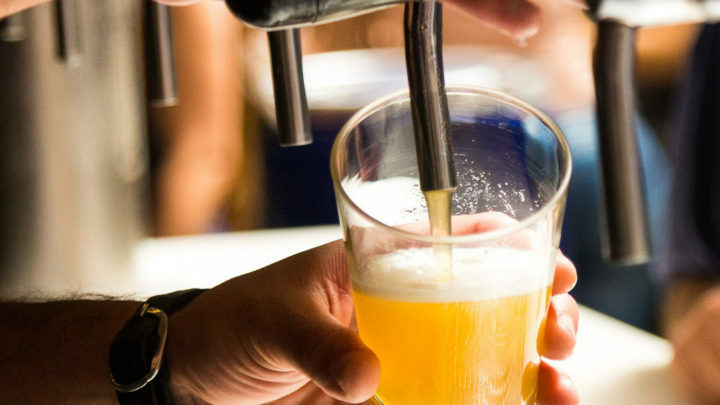 Finish your walking tour at an old chateau built on a rock overlooking Mikulov, and share a private tasting with Petr in the chateau’s cellar, once owned by the princess of Mikulov. It’s magical, and it’s all about the wine.